read, and tell me that it doesn’t equally describe God… and the Comics Industry. Welcome to the third annual review of the bookstore market. The one thing I know, after three years of this exercise, is that I really know very little at all. I can present you some pieces of information, but they’re not exhaustive. I think I can make some interesting conclusions from, and analysis of, the narrow stream of data we have, but don’t mistake this for being, in any way, definitive information. “Direct Market” stores (also known as “your Local Comics Shop”) buy much of their material for resale from Diamond Comics Distributors (though, not, by any means, all – and many DM stores are also buying from book distributors). DM stores seldom have Point-of-Sales (POS) systems, and, because we buy non-returnable, what we track is in our side of the industry is what sells-in to the store, not what sells-through to the eventual consumer. In a very real way, this means that the DM store owner is the actual customer of the publisher, not the end consumer. Each week, BookScan generates a series of reports detailing the specific sales to consumers through its client stores. The category we are most interested in is “adult fiction overall graphic novels”. Provided here is the BookScan report from the last week of 2005. It is important to remember a few things here. First and foremost, this isn’t directly a list of the “year’s best-sellers” – this is a report of what sold best in the last reporting week of 2005. In order to make this list, a book had to sell 154 copies in the last week of 2005. If a book sold 153 copies this week, and otherwise sold 10,000 copies throughout the year, it will not appear on this report. Frankly, I haven’t bothered to ask BookScan for a client list every year, so it is possible that the number or volume of stores has changed dramatically over the last 2 years. I’m also going to continue to assume that the Publisher’s Weekly article is still accurate to the extent that these numbers are unreported by some potentially significant degree, and don’t, in any way, represent all “book stores” selling comic book material. The scope of under- or mis-reporting is unknown to me, but it probably would dramatically change some specific rankings. So, be certain to understand what this 2005 BookScan report (MATT, Link it again, please) actually is – last-week-of-the-year sales only to that subset of non-DM stores that report to BookScan, except in the cases where BookScan made an error. Got all that? I definitely think you should not only look at the chart, as presented, but also save it to your own computer and sort it out in various ways: especially the year-to-date (YTD) column, and the “publisher” column (which is often the distributor, not the publisher). We’ll talk some more about the DM and how it compares a bit further down in the column. So, preamble out of the way, let’s look at the most basic of information about the bookstore market. For the purposes of this analysis, I’ve chosen to scrub out the 15 mis-coded calendars that appear on the 2005 list – this yields 736 items rather than the 751 reported in 2003 & 2004. On the other hand, I’ve opted to keep the items that appear to be miscoded that are “art books” or “prose” because a) at least they are books b) most have at least a tangential relationship to comics and c) it is what I did last year. There are six of these not-comics books, and one of them, Bloody Crown of Conan was also on the 2004 report. The other four are: Art of George RR Martin’s Song of Fire and Ice (Humorously credited to Brian Wood as the author?!? ), Vampire Hunter D (prose) volumes 1 & 2 (may be Japanese, but it isn’t comics), Brom’s Plucker, (an illustrated novella), and a “Forgotten Realms” novel The Dark Elf Trilogy v1 PB. If you do your own analysis, feel free to find and replace on those to delete them if you so choose. In 2003, the last-week-of-the-year report had 5,495,584 books being sold for a total gross dollar sales of $66,729,053. In 2005, the BookScan report totals out to 7,007,345 pieces sold for a total gross dollar volume of $75,459,669. That is astounding growth, no matter how you cut it, amounting to +15% in pieces and +11% in dollars. That’s even more astounding when you remember the list is 15 items shorter this year because of the calendar thing! Nearly a million books more sold. And pretty much all of them manga, for that matter. Another interesting place to look at the relative health of comics in book stores is the cut off threshold for appearing on the chart. The chart is ranked by that week’s sales. That’s really key because the year’s data is limited to the 751 items actually listed on the charts. In 2004, a book had to sell 98 copies during the last week of the month in order to place on the chart. A book that sold 97 copies that week, but had sold 25k the rest of the year would not appear on the chart. In 2005 a book had to sell 154 copies, in the last week, to make it on to the chart. Looking at it that way, that’s a 58% growth in the cut-off “threshold” from 2004. Once again I think it shows comics material in general is selling stronger. In fact, the “threshold” was 68 copies in 2003, which makes the 2-year growth in the cut-off to be about 125%. That’s pretty massive. The item selling the most pieces on the 2005 BookScan list was Fullmetal Alchemist v1 with 67,781 copies sold. The number one item in terms of dollars sold was Frank Miller’s Sin City v1 with $857,659. I’ve also arbitrarily divvied the list into one of five categories: Humor, Manga, DC, Marvel, and the ever-wonderful Everything Else. While such categorization is horrifically subjective (Is Asterix “humor”? Is The Simpsons? And that’s why I’m not showing that part of my work, to avoid such debates), I did it so to try and track the distinctions between “traditional” bookstore material (e.g., humor books like Garfield, or Far Side), and Direct Market-driven material (i.e., Marvel, DC, and most of the “Everything Else” group) and Manga. For Humor, 2003 had 125 of the 751 spots, and sold 1,246,141 units for a total retail of $16,095,800. The average humor title on the list sold 9,969 units. In 2004, the category took 108 spots, for 829,279 units and $11,460,533. The average humor title on the list sold 7,678 units. In 2005, there are only 35 “Humor” books on the chart, totaling 428,941 pieces, and $5,904,947 in dollars. This means the average humor book sold 12,255 copies. 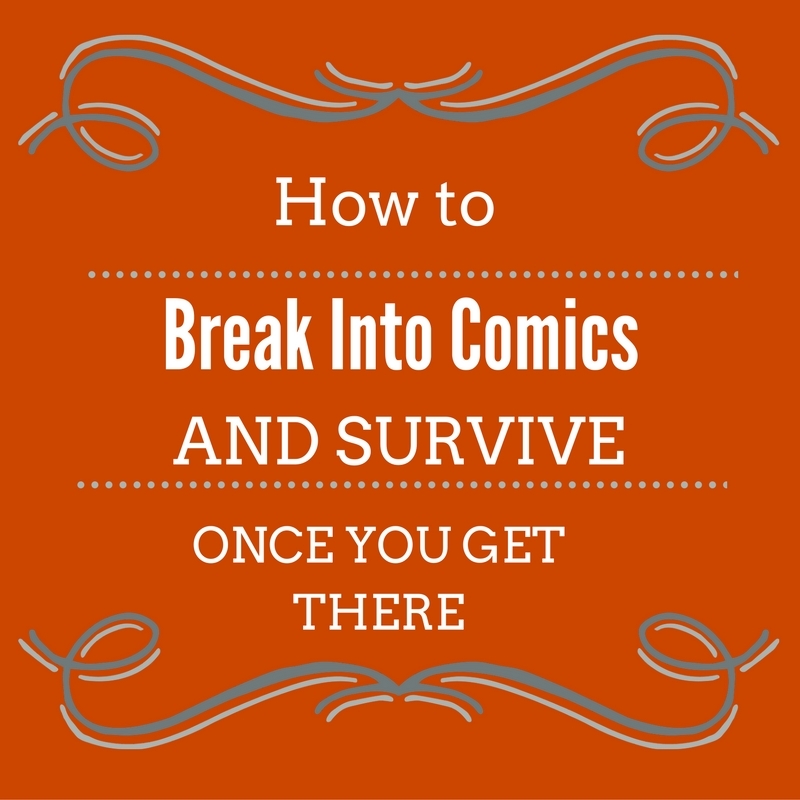 “Humor” has always been the traditional bookstore winner for comics, and the incursion of Manga has really caused this category to lose placements – under a third of last year, about a quarter of 2003. On the other hand, because what’s left is really the best of the best sellers, the average sale of a charting Humor book shot massive upwards. 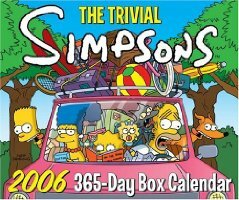 The Bongo Simpsons comics are, arguably, the biggest unsung success of the Humor section of the charts – in 2005 twelve different titles charted, with nine of them being “evergreen” (appearing every chart since ’03). Nearly $1.7 million dollars sold in 2005, and when was the last time you read about Bongo comics in the press or on the internet? Bill Watterson’s Calvin & Hobbes continues to amaze me – 2005 makes 10 years since the strip has had a new installment, and, still, the majority of his collections make the charts, both this year, and three years running. What’s even more impressive is that the big honking $150 boxed collection of the strip seems to have really spurred the sales of the paperbacks – five of the eight listed volumes posted a solid sales increase from 2004, and even the lowest listed book did 92% of its 2004 sales. For Manga, 2003 had 447 spots, for 3,361,966 units and $34,368,409. The average manga title on the list sold 7,521 units. In 2004, the category took 518 spots, for 4,603,558 units and $45,069,684. The average manga title on the list sold 8,887 units. In 2005, the category took 594 spots, for a grand total of 5,691,425 pieces and $53,922, 514. The average manga title sold 9582 units. There’s nothing to call this except crazy growth. +23.6% in pieces, +19.6% in dollars. Even the average sale is up by 7.8%. Manga absolutely dominates these charts – with 594 of 736 spots that means that 80% of the books placing on BookScan are Manga! More so than last year, I think it is really apparent that there needs to be two charts – one for Eastern comics and one for Western. It’s increasingly hard to compare the markets when we’re effectively only shown one of them. Again remembering all of the caveats in the first section about what the BookScan is and is not, Manga sold about 1.09 million more books in 2005 than it did in 2004. That’s slower overall growth than 2003 to 2004 where it was 1.3 million more books. One thing that immediately strikes me when you sort the manga alphabetically is that it’s not just individual books, it is whole series that are charting. Each and every one of the 22 Rurouni Kenshin books makes the chart, for the most extreme example. While there are 594 books on the charts, it appears to only be 165 different properties. What’s also fairly amazing is that the year-to-year decline of many titles is actually pretty low, showing that a fairly astounding number of these items are really “evergreen”. To pull a single example, Chobits v1 sold 38,951 in 2003, 24,956 in 2004, and 19,466 in 2005. Now, yes, that’s about a 20% decline from ’04 to ’05, but we’re talking about a completed series here, with no (that I know of) new advertising or promotion, and the first volume is still shifting nearly 20k copies. I, frankly, boggle at this. It is (just) conceivably possible that these numbers are reflective of new stores bringing in manga for the first time, but that appears to be increasingly unlikely to this observer. There are 80 manga titles that have appeared on all three of the BookScan reports I have access to – an astonishing showing when only 750 titles are listed each year. These “evergreen” titles include 13 of the 14 volumes of Love Hina (oddly, volume 2 has never charted, leading me to guess that it has been mis-categorized and appears on some other chart), 10 volumes of Inu Yasha, all 8 volumes of Chobits, the first 5 Ranma ½ books, 4 Fushigi Yugi, and 3 each of Graviton, Samurai Deeper and Yu Gi Oh. When you break it down by publisher, Viz takes 319 of the 594 slots in the 2005 charts, with Tokyopop taking 173. That’s quite the reversal from last year, when Tpop had 265 against Viz’s 174. I find this especially interesting because Tokyopop is largely synonymous with “manga in bookstores” – I’d argue that Tokyopop’s leadership in the $9.99 “authentic” format is what led to the rise of manga in the first place. Viz also takes 8 of the top ten manga sellers (mostly from Naruto), and 12 of the top 20. In fact, if it wasn’t for Fruits Baskets, Tokyopop wouldn’t place a book until #23. 492 of the 594 (83%) spots on the manga titles on the 2005 BookScan charts are taken up by the “Big Two” (heh), leaving 8 publishers to fight for the rest. Random House has 35 placers, Dark Horse 21, ADV 15, DMP 14, Brocolli with 8, Ice Kunion has 4, DC/CMX has 3, and Go! With 2. Again, none of this shows much, except what was happening the last week of the year. It’s entirely possible that any publisher’s overall strength in the book market in 2005 is wholly different than this one-week snapshot. Don’t read too much into my conclusions. The best selling manga title on the chart is Fullmetal Alchemist v1 at 67,781 copies. Fullmetal Alchemist is also the #1 comic book in all categories for the year. In fact, 4 of the top 5 are manga. 8 of the top 10, 16 of the top 20. Either way, that’s a big absolute gain on 2004’s #1 manga book – Rurouni Kenshin at 52,426. In fact, the first four books in the 2005 top 5 sold more copies than that. There are four manga titles listed as having sales of over 50k. Fifty-six have sales of 20k or higher. 184 have YTD sales of under 5000 copies. One last little manga note, this one on “OEL” (“Original English Language”) – I count a total of 13 what I’d define as OEL titles on the BookScan list: 3 volumes of Fred Gallagher’s MegaTokyo from Dark Horse (V1 8612, V2 7580, V3 19554), and ten from Tokyopop. These include Bizenghast (5987), DramaCon (5707), Dreaming (1024), I Luv Halloween (4697), Mark of the Succubus (2509), Midnight Opera (1088), Offbeat (1668), Princess AI (V1 9862, V2 12988) and Warcraft (20342). But on the other, most of those aren’t very impressive numbers, and, for most of them, seem that they’re under any kind of short term profitability using some simple back-of-an-envelope calculations. Let’s say these volumes have 186 pages of content each – I haven’t counted them, but they’re listed at 192 pages each, and let’s call it 6 pages of house ads? Now, I have no idea what kind of page rates they might be paying in advance of royalties, but, for Western publishers at least, I’m not aware of any that aren’t going to pay you at least $75 per-page for writing and finished art (and that’s really really low in American standards) – that’s nearly $14k in creative costs, alone. Let’s assume also that Tokyopop has some really fantastic printing and distribution deals, and is able to gross profit, oh, 20% of cover price (which would be pretty damn enviable for most American publishers), or $2 a book. So, that’s 7000 copies that need to be sold to cover sunk creative costs. For DC, 2003 had 74 spots, for 336,569 units and $6,151,258. The average DC book on the list sold 4,548 units. In 2004, the company took 39 spots, for 179,440 units and $3,135,983. The average DC book on the list sold 4,601 units. In 2005, DC takes 42 spots (this is without the 3 spots in the manga category from CMX), for 298,484 units and $5,440,001. Thus the average DC title sold 7,107 copies. Now that’s a much better performance than last year for DC, solid growth in almost every way of measuring these things. It appears that the shakeups in DC’s marketing department have had some positive impact upon sales in the bookstore market. The one thing that seems pretty instantly apparent looking at the DC numbers is that Batman Begins certainly seems to have had a positive impact on Batman sales – for one example, the 18,640 copies of Batman Hush v1 sold in 2005 is greater than the 10,244 sold in 2003 and 8,101 sold in 2004 combined. The same is true of the other Batman books we can track in 2005 that charted in ’03 and ’04 – Hush v2, Long Halloween, Dark Knight, Year One, all sold more copies in ’05 than in ’03 and ’04 combined. That last is pretty impressive because it is the new HC edition of Batman: Year One comparing against softcovers in the previous years – and they still shifted more than 15k units! DC’s “evergreen” backlist (the books I can track each year from ’03 to ’05) is only 12 items, but all but two rose in sales comparing ’04 to ’05 – Crisis on Infinite Earths is nearly doubled, Kingdom Come is up by 4%, League of Extraordinary Gentlemen v2, Watchmen and Sandman: Endless Nights are all up by around 50%, Sandman: Preludes & Nocturnes by more than 20%. That’s all good growth on what were solid sales to begin with. The build-up to Infinite Crisis does an OK job of charting – Omac Project (2505 YTD copies), Day of Vengeance (1206), and Villains United (866) all make the charts, with just a single month of release for them. Looking at their initial velocities, I’m going to guess that none of them are going to be great shakes in the book market, but it was a little surprising to find them on this year’s list at all. The big one, of course, is Brad Meltzer’s Identity Crisis, which pulls in 11,043 copies. Remember that DC did a “book market edition” of this title, with Meltzer’s name ginormous above the title. The Direct Market still handily beat that (see more below) with at least 16,586 copies sold, but it is still hard to scoff at 11k copies of a book – especially one so firmly anchored in western comics continuity. A few other random notes: 2 volumes of DC’s Showcase series track, with both Superman and Green Lantern selling 2700-ish copies. Green Lantern is hilariously attributed to Dan Didio as the author! All four volumes of Teen Titans make the list as well. Both occurrences surprise me a little. Other than Sandman (6 of the 12 books) and V For Vendetta (which kind of doesn’t count), there are no other Vertigo titles on the list – no Preacher, or Y The Last Man or Fables. Those absences surprise me a lot. V For Vendetta completely exploded though, with 15,358 copies sold, while it never made the charts any previous year. Expect this to rise dramatically in ’06 as the film comes closer. Hm, wait, I lie, Vertigo also places Harvey Pekar’s The Quitter on the charts with YTD sales of 3024 copies. Which strikes me as kind of tragically bad. Here’s a major new work by a well known to the “real” world creator, that had a fair amount of promotion around it, and that’s all it manages to shift? The Direct Market bought 3982 copies, non-returnable, just on its initial order! Also perhaps of some note is that three of DC’s Absolute editions manage to chart – Crisis on Infinite Earths (428 copies), the Ross/Dini World’s Greatest Super Heroes (4770) and Watchmen (3299). At $75 a throw, Absolute Watchmen was DC’s ninth largest dollar book, with nearly a quarter million dollar in sales at full retail. “Regular” Watchmen, by the way, came in as the #1 dollar book for DC, at almost $350k. The Ross/Dini book is #11 in dollars. The best selling DC book of the year is Batman: Hush v2 with 19,883 copies sold. Yes, it outsold v1 by some 1200 copies, go figure! 17 of DC’s 42 places are under 5k copies. For Marvel, 2003 had 73 spots, for 455,553 units and $8,428,962. The average Marvel title on the list sold 6,240 units. In 2004, the company took 50 spots, for 227,985 units and $3,756,764. The average Marvel title on the list sold 4,560 units. In 2005, Marvel places 26 books, for 153,317 units and $2,459,027. The average Marvel title on the list sold 5,897 units. Once again, Marvel gets lost in the sea of manga. The average sale is climbing, so that’s good news, at least. But it’s almost pointless to discuss Marvel in a separate section at this point, because we’re only looking at 26 titles now. There are 7 “evergreen” Marvel trades we can track from ’03 to ’05: Ultimate Spider-Man v1, 2 & 6, Ultimate X-Men v1 & 2, Ultimates v1, and Origin. All of them declined except for Ultimate X-Men v1, and all are far below their ’03 numbers. Origin went from 25,601 in ’03, to 8302 in ’04, to 7546 in ’05, for example. Not a single Marvel digest format book appears on the list. Ooh, I just realized, for the first time since I’ve been doing these reports it is no longer true that books about comics sell better than the comics themselves – the DK Publishing Marvel (and DC) guides have dropped down below the sales of the characters they cover. Would that it were the other way (Marvel sales climbing up to meet the old DK numbers), but at the least we can retire at least one old saw. Marvel’s best selling book is the Joss Whedon-penned Astonishing X-Men with 13,948 sold – hey, better than Identity Crisis! That’s an OK number, but I’d really expect it to be a bit higher, given Whedon’s profile. At number 2 is Neil Gaiman’s 1602 – which sold 11,767 copies, a sold rise from ‘04’s 10,183. Even more shocking is that it is selling better than any Sandman volume on the chart, which blows my little mind. 10 of Marvel’s 26 books on the list sold under 5k. For Everything Else, 2003 had 32 spots, for 95,355 and $1,684,624. The average works out to 2,980 units. In 2004, Everything Else was 36 spots, for 230,831 units and $4,360,522. The average works out to 6,412 units. In 2005, Everything Else comes to 39 spots, for 435,178 units, and $7,733,180. That average works out to 11,158. Frank Miller is the 800-pound gorilla here – the seven volumes of Sin City collectively sold 185,713 copies for $3.2 million. More than 40% of the total. Hellboy didn’t place on the chart this year, so it looks like the movie-driven success of last year (16,355 copies) didn’t stick at all. Also no placing for other Dark Horse 2004 titles Whedon’s Fray, and Chabon’s Escapist. But, hey, what the hell happened to last year’s big winners? Art Spiegelman’s In the Shadow of No Towers, sold 43k last year, and doesn’t chart at all this year. Same with Marjane Satrapi’s Persepolis, which did 26k in 2004. No charting at all in 2005, meaning, at least, that they fell below the threshold of 154 copies sold during the week. The Complete Peanuts v1 was the #3 book in this group last year at 25,224, this year, the 1955-’58 box set is the only Peanuts charter at 9,225 copies. Keep in mind that’s nearly a half-million dollars in full-retail sales, however. Big win for Fantagraphics there. FBI also squeaks in with Chris Ware’s newest volume of Acme Novelty Library #16 with 1196 copies sold in the first week (or two) of release. On the other hand Ghost World and Locas disappear from the list. There are also a couple of “poached”-from-Fantagraphics books on the chart – the Acme Novelty Library HC (the really tall one; Jimmy Corrigan, the Smartest Boy in the World doesn’t appear on this year’s list) with 6583 copies, and Charles Burns’ Black Hole with 7460 copies. I’ll have a few thoughts on the latter down a bunch in the Direct Market portion of our chat. Top Shelf makes the list with 6654 copies of Craig Thompson’s Blankets. That’s a pretty steady performance compared to 2004’s 6882 copies. And Slave Labor hits twice with Jhonen Vasquez’s Johnny the Homicidal Maniac (9879) and Squee (5835). This marks the third straight year of rising sales on JTHM, and Squee is relatively flat, compared to 2004’s 5924 copies. Also of note, 6576 copies of Joann Sfar’s wonderful The Rabbi’s Cat, and 16,578 copies of the R. Crumb Handbook with CD, which is really kind of astounding. No trace of Jeff Smith’s Bone from the scholastic versions, which has me wondering what the story there is. Overall, very little that’s not Manga, Humor, or from the “Big Two” shows on the BookScan chart, again leading me to the conclusion that, for the most part, the Direct Market is the name of the game for the bulk of “art comics”… or even “non traditional” sales. That’s not to say that a much much better job can’t be done in the DM, because it can – but specialists appear to do a better job selling specialist material than the generalist book store market does. 12 of the 39 “other” spots sold under 5k copies. So, how does the DM compare to any of this? Well, that’s the million dollar question, and mostly the answer is the usual “dunno, we’re comparing apples to oranges”. Again, DM sales reports are focused on sell-in, while BookScan reports sell-through. DM sales reports only include Diamond, which, while largely accurate for Marvel, DC, Dark Horse and Image, potentially are just a fraction of sales for publishers like Fantagraphics or Drawn & Quarterly. Further, Diamond’s reports don’t actually list sales figures, it lists an “order index” where sales are compared to that month’s issue of Batman (the periodical). ICv2 appears very confident that its numbers are accurate, but virtually every publisher tells me they’re off by some factor. To confuse things more, Diamond doesn’t even provide “order index” figures for their year-end reports. Just a straight list with no numbers attached. Diamond’s year-end reports are available here on Newsarama. Follow these links for 2003, 2004, and, our subject this time, 2005. Still, there’s a certain amount of figuring it out that can be done. It is possible to sum up ICv2’s reports and draw conclusions from there. This year we “lucked out”, and had a title that was released in the last month of the year (thus we have “100%” of its sales reported), that placed near the very bottom of the year-end Diamond chart. Rann/Thanagar War is the 97th best selling book of the year, and sold 6808 copies in December, the month it was released. Therefore, regardless of our ability to see other sales, we’re assured that everything else on the chart sold at least that many copies. I call this “the Watchmen effect”, as a large portion of the sales of that perennial are actually invisible to the reporting methods used in the DM. See, Watchmen was Diamond’s 15th best-selling book of the year, but it only actually appears on 8 of the 12 months worth of “Top 100” lists in 2005.We can track that Watchmen sold 11,358 copies in those 8 months. However, the #16 year-end book, Y, The Last Man v5 tracked on 4 of the 6 months it was released, selling 13,058 copies. Thus, it is absolutely certain that Watchmen sold at least 13,059 copies – or that there are at least 1,701 copies that never tracked (or: 15%). In fact, it’s conceivable that, if Watchman was the #101 book in February, April, May and October (the 4 months it didn’t chart), that there could be another 4392 copies that never tracked. Watchmen clearly sold, in the Direct Market, at least somewhere between 13k and 15k copies, despite only being able to see 11k of them. Got all that? Or perhaps we can put it more starkly: the #43 year-end book, Walking Dead v4 can track 9679 copies. The #42 book, Battle of the Planets, doesn’t show up at all on any chart whatsoever! Clearly, there are deep and wide gaps in the data we’re allowed to see. I also think that there’s something broken either in the reporting of the data, or in the way ICv2 massages it, and I can show it the easiest in the top of the charts. The #2 book, Identity Crisis, tracks sales in Sep (11923), Oct (3422), and Nov (1241). It doesn’t chart in December. The sum of those sales are 16,586. The #100 book in December shows 1137 copies. Therefore, by ICv2’s data, the most number of copies Identity Crisis could have sold would be 17,723 copies, right? However, the #3 book, Sin City v2, tracks in Mar (9203), Apr (4227), May (1286), Jun (1862), Aug (1368), and Sep (1313) – That’s 19,259 copies. Even if we assume that Sin City v2 sold zero copies (ha!) in the 4 months it didn’t list, that’s a 1536 copy discrepancy between what I can “prove” for book #2 and book #3 – a fairly massive gulf. Diamond’s #1 TP for the year is, not much of a surprise, Sin City v1. Released in February (well, this edition, at least), it appears on Top 100 charts from Feb to Sep only, with a sum of 29,264 copies sold. Under “The Watchmen effect”, it is likely that Sin City v1 actually sold closer to 31k copies. 11 of the year-end Top 100 books are manga. 47 are from DC, 19 are from Marvel. That means very little, because it is only 100 titles, but there’s your snapshot. 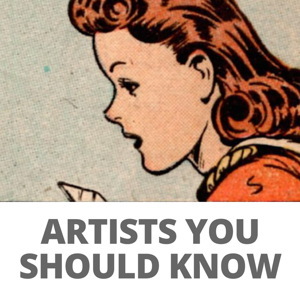 Perhaps more intriguing is that only 51 of the top 100 are “superhero” comics. Diamond’s VP of Operations, Cindy Fournier, is kind enough to give me a few more data points each year, so we can track a few metrics of how the DM is performing. But we have a new caveat this year. While I (and probably you, too), tend to separate things into two channels (Direct Market and Bookstores), Diamond actually has more than a dozen different ways of identifying customers. This year they revised some of their internal guidelines of what sales are from what categories, and because of this, Cindy says, “These figures are probably not 100% accurate in relationship to last year’s tallies; they’re probably 90% accurate”. So, fair enough that. Also, as always, these figures are for Diamond Comic Distributors, not Diamond Book Distributors, their bookstore arm. The first thing I always want to know is “how many DM stores are there?” While this is a fluid calculation (for one of many examples, if a chain store consolidates multi-store ordering into a single order form, that is opaque to this snapshot), we’ve set on using the number of accounts turning in a monthly order form for the month of September as our benchmark each year. In 2003 it was 3300 order forms. In 2004, it was 3275 order forms. In 2005 it dropped to 3200. While this doesn’t necessarily mean we’ve lost 75 stores over the last year, it does not appear that the number of store-front retailers is increasing. I hate to be a broken record here, but I think that this is something of major concern for all of us for the future of the business – we absolutely have to get more stores opening up. I also ask Cindy to pull the number of stores ordering backlist items from Diamond’s “STAR” system for September of each year. My theory with this data point is that stores doing a healthy business in book format comics has to be doing regular restocks via STAR, rather than waiting for the “slow boat” of reorders shipping through the regular frontlist monthly orders. This “STAR penetration” figure was 1800 accounts in 2003, 2275 accounts in 2004, and 2400 accounts in 2005. This, to me, is a healthy statistic – that number is growing strongly year to year, indicating more of the business is working with and in perennial sales. A solid backlist department, properly managed, is the bedrock of steady sales. Taken all together, it appears as though, despite a shrinking number of stores, they’re selling an increasing amount of material. Given the substantial year-after-year growth in the book category, this may be more impressive because direct competition is rapidly increasing. The main thing I know is that pound-for-pound, an individual comic book store will virtually always outsell a generalist bookstore in Western material. This is as true for something as “mainstream” as Identity Crisis (11,043 in bookstores, at least 16, 586 in the DM), as it is for something as “artsy” as Black Hole. While Black Hole didn’t track on the top 100 Diamond sales chart, so we can’t compare it to the 7460 in the BookScan numbers, I did a quick straw poll of just 10 Direct Market retailers – while there were a couple of “big boy” stores in there, I also made a point of asking several suburban and/or “superhero-oriented” stores as well. Between just those 10 stores, I was able to find 341 copies of Black Hole purchased – or roughly 5% of the total copies sold through every bookstore in the country combined. From ten stores! So, yeah, I’m bullish on the Direct Market and its continuing prospects, and continue to be amazed that more resources aren’t being put into growing and expanding the DM, as it can grow faster and hotter for Western comics material than any other market. That’s what I see at least, with our flawed and clumsy data. And now you have the data, too, to draw your own conclusions. Just watch out for elephant dung! Brian Hibbs has owned and operated Comix Experience in San Francisco since 1989. Feel free to e-mail him with any comments. You can purchase a collection of the first one hundred Tilting at Windmills (originally serialized in Comics Retailer magazine) from IDW Publishing. An index of Tilting at Windmills on Newsarama can be found right here.